Now, what’s fascinating about this, folks, the reason I want you to hear this: How many times have you heard since General Kelly was named the chief of staff that Kelly was going to tighten down this ship? Kelly was going to enforce all kinds of discipline? That Kelly was going to try to get a hold of Trump’s Twitter feed — and Trump was objecting to that, of course. 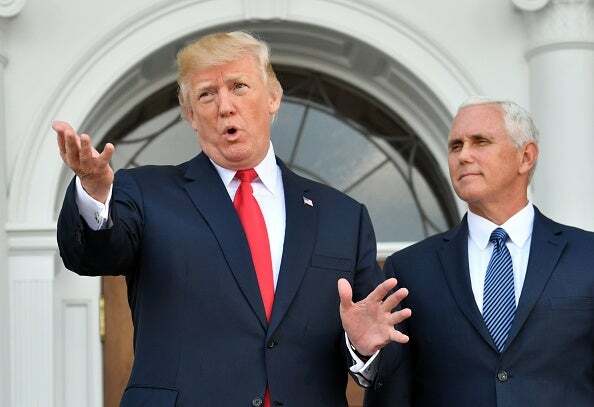 But they were going to batten down the hatches and there weren’t going to be any more leaks, and this was going to be a smooth, well-oiled, tight-running ship. 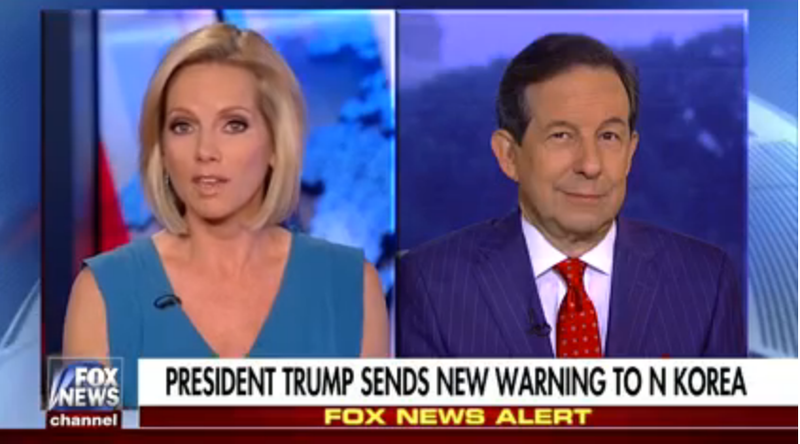 WALLACE: For, what, the last week or so we’ve been hearing a lot of talk about that there’s a new order, a new discipline in the White House, that the president is not going to tweet as much, that he’s not going to have an open-door policy toward letting advisors go in and out. We are told by reporters who were in the room that his press secretary, Sara Huckabee Sanders, was standing in the back of the room as that 20-minute news conference went on — very early on — holding up a sign saying, “One more question,” that the president could see. And the president ignored it and he kept answering questions on everything from North Korea to Mitch McConnell to the raid of Paul Manafort’s house to Putin kicking hundreds of diplomats out Moscow. So, you don’t tell the president what to do. 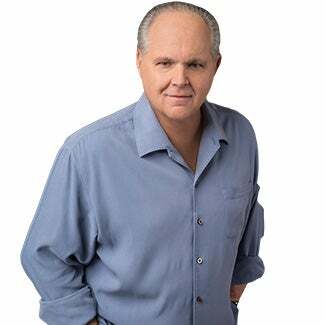 RUSH: That’s exactly right, just one more question, one more question. And he just kept going and he went back. Now, this business with (laughing) Putin kicking the diplomats out and Trump thanking him for saving us money? They’ve taken that seriously! The media thinks this is further evidence that Trump’s out of his mind. This is further evidence that — or they’re saying, “Trump has to be in collusion because this is a perfect chance to criticize Putin and Trump won’t! Trump is thanking Putin.” So some are saying it is evidence of collusion. (laughing) I’m not kidding. When Trump said, “Maybe the Russians can find Hillary’s emails,” they interpreted that as Trump asking the Russians to hack Hillary’s computer. (laughing) So Trump thanks Putin for expelling American diplomats because it will reduce our budget requirement… By the way, what are we doing with 755 people in that embassy over there anyway? If we had 755 people in our embassy in Russia, don’t you think one of them would have been able to figure out if we were colluding with Trump and Russia to win the election? Wouldn’t one of them been able to find out? (laughing) It’s 755 people. So Putin, because of the sanctions that we imposed, Putin kicks them out. Like every good Mafia don would, Putin kicks them out and so Trump thanks Putin for saving him some money (laughing), giving him some room in the budget. And the Drive-Bys are beside themselves with this. “It’s not presidential and it shows that Trump is indeed linked to Putin somehow.” He doubled-down on McConnell. While everybody’s telling him to back off of McConnell, he doubled-down. But you’re going to hear in a minute there’s a reason he’s doing this. And part of it we shared with you. We went back and found that piece from December 6 of last year where McConnell said (summarized), “The first thing out of the box we’re gonna do when we get sworn in is repealing Obamacare. First thing we’re going to do.” Trump heard that — and, of course, they didn’t get it done. KING: The president was told early on by the legislative leaders that they could pass it quickly. He relied on that. Looking back on it now as a Monday morning quarterback, I think it would have been better to start with tax cuts and infrastructure. And I would think now they should put out there on the side and go right to tax cuts and infrastructure so we can get some real results on the board and get some money into the pockets of the American people. RUSH: Now, okay, forget that for a second. Did you hear what the meat of this is? Peter King said that Donald Trump was told early on by [GOP] leaders that the Obamacare repeal was a slam dunk. “The president was told early on by legislative leaders that they could pass it quickly.” We jump back to December 6 of last year, and there’s a story we shared it with you yesterday, Mitch McConnell telling whoever it was in this story that repealing and replacing Obamacare was the first thing we’re going to do. The first thing when the new Senate is sworn in. That’s the first thing we’re going to do. And then it didn’t happen. So I asked a question: “Why didn’t it happen?” and got all kinds of answers. “Well, Congress chickened out once the Russia-Trump collusion story got going and once the imbeds in the deep state started taking Donald Trump. The Republicans chickened out. The Republicans said, ‘We don’t want to be associated with this guy because they really feared that Trump was going to be taken out before he was inaugurated. '” There may be something to that. But Peter King is right: Trump was told by Republicans, House and Senate, that they were going to get this done first thing. What that means is he relied on them. They told him! In Trump’s world, they’re the job foremen, and the job foremen said, “Yeah, first thing! Easy. We’re going to get this done.” So, Trump is thinking, “Cool. We’ll move on to the next thing.” In his mind, he’s inaugurated believing that repeal and replacing Obamacare is going to get done el quicko because he’s been told this — and then, of course, it didn’t. And it has led to this paralysis and confusion. So now we go to the Trump presser yesterday. Trump doubled down on Mitch McConnell. He had some things to say about the dictator in North Korea. THE PRESIDENT: I just want to get repeal and replace done. I’ve been hearing repeal and replace now for seven years. I said, “Mitch, get to work and let’s get it done.” They should have had this last one done. They lost by one vote. For a thing like that to happen is a disgrace. And, frankly, it shouldn’t have happened. That I can tell you. THE PRESIDENT: Well, I’ll tell you what. If he doesn’t get repeal and replace done, and if he doesn’t get taxes done — meaning cuts and reform — and if he doesn’t get a very easy one to get done, infrastructure? If he doesn’t get them done, then you can ask me that question. UNIDENTIFIED REPORTER: So what is that, a yes or a no? THE PRESIDENT: “You can ask me the question.” That means ask me that question. THE PRESIDENT: Let’s hope he gets it done. THE PRESIDENT: Frankly, the people that were questioning that statement, “was it too tough?” Maybe it wasn’t tough enough. They’ve been doing this to our country for a long time, for many years, and it’s about time that somebody stuck up for the people of this country and for the people of other countries. So if anything, maybe that statement wasn’t tough enough. And we’re backed by 100 percent by our military, we’re backed by everybody. And we’re backed by many other leaders. And I noticed that many senators and others today came out very much in favor of what I said. But if anything, that statement may not be tough enough. RUSH: He’s talking about the statement “fire and fury.” Now, this was the presser that was occurring right as our program ended yesterday. This is where Chris Wallace says that Sarah Huckabee Sanders was holding up a card in the back of the room, “Last question,” because she wanted it to end. Trump had been going on for about 20 minutes. He came back. He wasn’t through. THE PRESIDENT: I read about, “We’re in Guam by August 15th.” Let’s see what he does with Guam. If he does something in Guam, it will be an event the likes of which nobody’s seen before, what will happen in North Korea. UNIDENTIFIED REPORTER #1: And when you say that, what do you mean? THE PRESIDENT: You’ll see. You’ll see. And he’ll see. He will see. UNIDENTIFIED REPORTER #2: Is that a dare? RUSH: Folks, in analyzing this, I want to compare this to the way scripts for TV shows are written. You probably haven’t noticed these things, but you will now when I point them out to you. And it’s almost universal. I have seen this so much that I have concluded that it’s part of the way screenwriting is taught. And it’s almost templatic. For example, a character, the setting doesn’t matter, the story, a character will ask, “When is X going to happen?” The answer is always soon. It’s never specified in screenwriting. It’s never in 20 minutes, tomorrow, next week. It’s always soon. Notice this. No matter if you’re watching a movie, no matter if you’re watching a TV show.